For nearly 300 years, MOKU‘ULA was the SPIRITUAL AND POLITICAL CENTER of the Hawaiian Kingdom. In 1845, the state capital was moved from its seat in Lahaina to Honolulu; by 1914, the site literally was buried under a county park. After years of neglect, Moku‘ula is slowly being restored, thanks in part to the dedication of a nonprofit organization called FRIENDS OF MOKU‘ULA and a Lahaina cultural tourism company called MAUI NEI. Maui Nei tour guides are adept at telling the story of this ANCIENT SITE during their WALKING TOURS THROUGH LAHAINA. Guides are trained by cultural experts and kumu hula (hula teacher) to provide information spanning 1,700 years of Hawaiian history—which is told in mo‘olelo (stories) and oli (chants). Tour proceeds help fund Moku‘ula’s restoration. 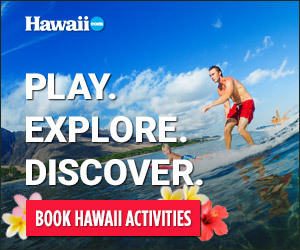 To learn more about Maui Nei’s authentic Hawaiian cultural tours, visit mauinei.com.